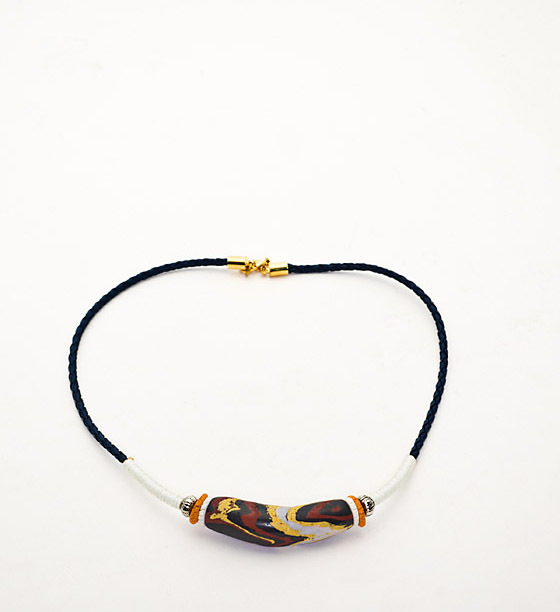 This choker features a 1.5-inch long curved traditional style bead of the Rukai tribe in the center. The chain measures 14” but, as each choker is handmade, allow for some variation in chain size and color, as well as bead pattern and bead size. The Rukai tribe had a strict social hierarchy with certain patterned beads reserved exclusively for the chieftain and nobility. Such beads were considered the most valuable and beautiful. 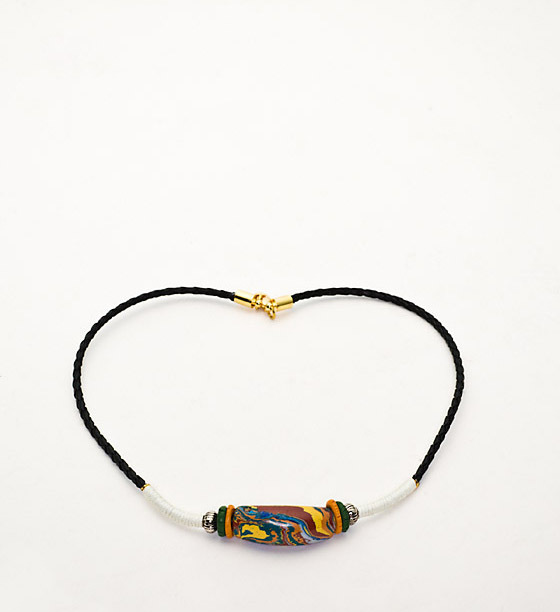 Thus, these beads played an important role in society, expressing one’s social position and identity.